W. W. Norton & Company, 9780393247749, 304pp. All of us have an innate capacity for compassion. We recognize when others are hurting, and we want to help, but we're not always good at it. There is another way. 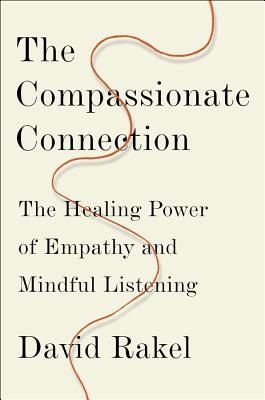 In The Compassionate Connection, Dr. David Rakel explains how we can strengthen our bonds with others--all the while doing emotional and physical good for ourselves. As founder and director of the University of Wisconsin Integrative Medicine program, Dr. Rakel discovered that we become the most effective helpers when we use the tool of human connection. Drawing on his own research and practice, as well as thirty years of published studies in medicine, sociology, psychology, meditation, and neuroscience, Dr. Rakel "stacks the deck" in favor of healing and introduces the concept of bio-psycho-spiritual authentic awareness. Not only are our bodies and minds connected, but also it has been scientifically proven that our capacity to feel beauty, awe, and compassion enhances our health and wellbeing. In The Compassionate Connection, Dr. Rakel provides an innovative approach to enhancing health in others and strengthening relationships through the art of connecting. These tools guide us to improve our connections--whether between doctor and patient, husband and wife, parent and child, or boss and employee--and live with clarity, wisdom, and good health.